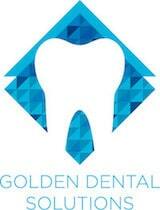 At Golden Dental Solutions, our professionals understand how important a beautiful smile can be. Patients who have imperfections in their smile may feel extremely self-conscious when they are socializing with others. Without cosmetic restorations, patients may be forced to live with these issues. Drs. Nancy E. Gill and Dallas D. Kenson of the Golden, CO area are excited to offer affordable, aesthetic options for patients who are faced with imperfections on the anterior teeth. One of these many solutions is that of porcelain veneers. Porcelain veneers are essentially ceramic restorations that are made extremely thin. They are bonded over the front of a problematic tooth to instantly change the appearance of the smile. Porcelain veneers are natural-looking facings that are custom-made for each individual to ensure that they look beautiful when put in place. These restorations are perfect for creating that beautiful smile you’ve always wanted, and for addressing problem areas that may not be treated in any other manner. What happens in the process of obtaining a porcelain veneer? Once patients have consulted with their dentist and determined that they are interested in moving forward with porcelain veneers, they need to undergo some minor preparations. The dentist will remove a thin portion of the natural tooth enamel from the front of the tooth before taking impressions, which are sent to a dental laboratory and are used to make a custom veneer. Patients return to the office when the veneer is complete to have it bonded over the imperfect tooth or teeth. Choose Golden Dental Solutions to help you achieve a more beautiful smile! Porcelain veneers are just one of several cosmetic solutions available to patients in the practice of Drs. Nancy E. Gill and Dallas D. Kenson. With the help of our dedicated team of professionals, patients can rest easy knowing that they have access to treatment options that work best for their smiles! Call the office in Golden, CO to book your consultation appointment today at (303) 277-9600. We are conveniently located at 1218 Arapahoe Street and are always accepting new patients and families.